The Limited Editions have a great legacy in the cigar world, offering their unique and rare quality. In fact, every year we await their arrival, and now it is time to take advantage of the very first of the year! In this case we bring you the very chic Romeo Y Julieta Tacos. We begin by burning our vitola with a cedar stick. The first puffs announce a rather soft and calm character, flavors of cedar and dried fruit and on the fresher side of ground coffee. 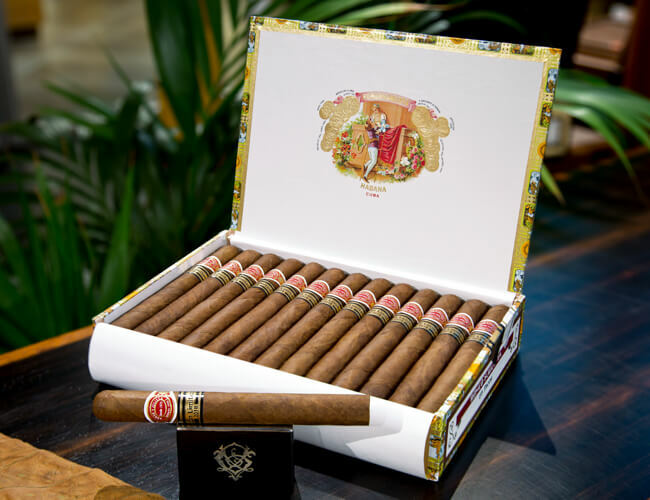 Here is a true Romeo Y Julieta as from their previous Limited Editions, suave and luxurious. The second third brings a slight bitterness certainly due to the young age of the cigar, although the tobacco used in an Edicion Limitada has 2 years of aging before being rolled, the construction of the leaves needs time for the aromatic stability to imbed. Fresh walnut notes do unfold. It is then that the balance of the cigar switches by becoming more creamy. Aromas of cocoa and old tobacco also appear, this cigar is all about its flexibility with a slow but progressive evolution. The start of the final third provides a little spice, which confirms that the cigar will bring a great intensity to its finale. The Tacos are reminiscent of the aromatic richness of the Montecristo Dantés, the Limited Edition from 2016. This cigar will need to age some time to reach all its splendor. It would be a wise decision to allow time for it to evolve and grow into all of its potential.